Malware is a significant threat in the workplace, but the use of IT services in West Palm Beach can keep your company well-protected against these ever-evolving threats. A managed service provider will ensure that your business has access to the latest security updates and that each employee is well-trained on the best ways to avoid malware. Viruses have been around since the early days of the internet, and they can wreak havoc on the entire computer system for any business. These viruses can breach confidential information and are usually opened through malicious email attachments or unsafe websites. The best way to avoid viruses is to use the latest antivirus software available and always download the newest security updates provided by a company that specializes in network security in West Palm Beach. Ransomware attacks continue to grow in popularity, and it is essential to use IT services in West Palm Beach for the ultimate protection against these vicious threats. Ransomware will lock users out of their computer and require businesses to pay an exorbitant price for a decryption code. However, the most effective way to avoid this situation is to use a managed service provider that specializes in data backup services. These data backups are always uploaded onto an offsite server and will allow you to easily access this information without giving in to the demands of a cybercriminal. Adware is another common tool used by cybercriminals, as it typically redirects users to a particular page every time you open your browser. Pop-up ads are also very common, as these unwanted ads can significantly slow down your entire computer system. Contacting an IT provider is the best solution to remove adware and ensure that your computer is free of any malware. A managed service provider will continually monitor your computer system to ensure that everything is working correctly without any suspicious behavior associated with various types of malware. 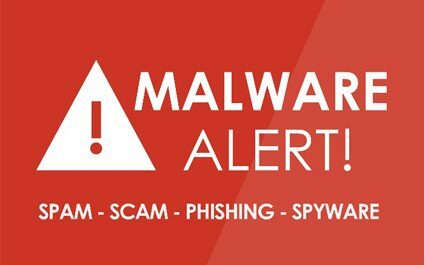 Malware can disrupt the day-to-day activities of any business operation, and it is important to use IT services in West Palm Beach for the best protection against these threats. Nexxen Technologies is an IT service company that specializes in cybersecurity and preventing malware threats. Our IT team is always available to answer any questions and ensure that your company has the ultimate cybersecurity protection. Contact us today for more information.